The Himalayas are known for its adventure sports and activities in the world that range from trekking, camping, kayaking, fishing, angling, hand gliding and many more and is truly a adventurers paradise. Jungle Safari can be called a little different because you are basically exploring the wilds in this activity. Whether you are riding on an elephant's back or inside a jeep, this safari trip is a must if you like the wilds. Jungle Safari can be defined as a forest trail, except that beside the options of walking, hiking and trekking, you can also explore the jungle via a jeep or a Elephant. 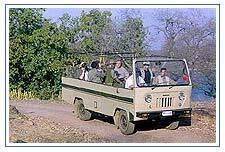 Jungle safari not just involves exploring the jungles of a particular region. 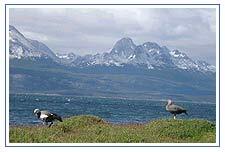 The options can involve national parks and wildlife sanctuaries as well as protective reserves. And you can also opt for wild camping as well as nature walks too. All in all saying hello to Mother Nature in the best possible ways. Staying in the jungle lodges provided by the various forests departments within the sanctuary areas is also the part of this safari deal and the best way you can enjoy your holiday to hang out in the Jungle area, relax and do nothing! Aptly called the land of roar, trumpet, and songs, Corbett national park is a legend come alive. The park embraces the picturesque patladiun, a broad flat valley consisting of the vast savannas and surrounded by hills. The Corbett National Park of Uttaranchal enable the wild life enthusiasts to view the wild in their natural habitat. A safari on the Elephant back affords a splendid view of the flora and fauna of the region. Decorated with stunning beauty and conserved with care, the Great Himalayan National Park is a virtual treasure for the researcher, the sensitive nature lover and the adventure seeker. The months of September and October are the best visiting months in this park, when the weather is generally good, to observe the Bharal and the Musk Deer. Between November to early March, when the higher reaches are under snow, the high altitude species descend towards the valleys for sustenance. Though difficult, wildlife observers could undertake field studies in these months. Namdapha Tiger reserve in Changlang district of Arunachal Pradesh is spread in an area of 1,850-sq-kms rugged terrain. Perhaps no other national park in the world has a wider altitudinal variation than the Namdapha national park that rises from 200m to 4,500m in the snow-capped mountain. This variation has given rise to the growth of diverse habitats of flora and fauna. And because this region is the most unexplored wild reserve of India, makes it all the more attractive jungle safari option for any wildlife lover. The park is one of the richest and well known game sanctuaries of Asia and so offers one of the finest wildlife experience. From the pickup point, upon arrival at the fringe of the National Park, the visitors are transported to the jungle lodge or the camp site by Elephant, Safari Jeeps or dugout -canoes or a combination of them. The Royal Bardia National Park is the largest and most undisturbed wild area of the Terai region of the Nepal Himalayas. Similar to Chitwan park, but with a drier climate and a more remote location, Bardia encompasses 1,000-sq-kms of riverine grassland and sal forests. While on a jungle safari the best activity you can try out is Bird watching as this sanctuary is a natural habitata of 350 bird species.